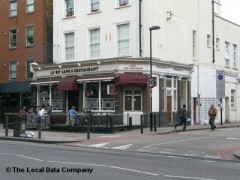 About: Le Rif is a Moroccan cafe and restaurant. Tagine is the national dish of Morocco, an aromatic stew that’s simmered in a clay pot over a long period of time. Incredibly Le Rif offers them for a fiver alongside a few western dishes like spag bol. The only drawback is that the venue is unlicensed, although food is available to take away.